Private jet ownership is complex in nature, as an aircraft asset requires daily management oversight. From operations, scheduling, crewing, maintenance, hangaring, and more— a private jet must be managed efficiently and effectively so that a private jet owner may experience the full benefits of ownership. The private jet experience— from pre-purchase to long-term ownership— is best placed in the care of a reputable and specialized aviation team. One component of owning a private jet is deciding who and how the aircraft asset will be managed. With many aircraft management companies and aircraft managers to choose from, how does an aircraft owner make the best management decision for their goals and needs? What character traits differentiate a good aircraft manager from a great one? Here are three characteristics to look for when selecting an aircraft manager. As the point of contact for the aircraft owner and the individuals on the aircraft management team, the best aircraft managers have mastered the art of listening and utilize the skill continually. Effective communication is essential to the aircraft manager’s role but equally important is the necessity for an aircraft manager to be a masterful listener. Aircraft managers must listen to both what is being said by an aircraft owner and what is left unsaid. Many individuals are first-time aircraft owners and do not know what questions to ask or what to anticipate with ownership. This is where a skilled aircraft manager can step in. Not only can an aircraft manager listen, but an experienced professional will be able to ask pertinent and timely questions to assist in creating a beneficial ownership experience. Beyond a standard level of professionalism, the best aircraft managers are honest, authentic, and emotionally intelligent. 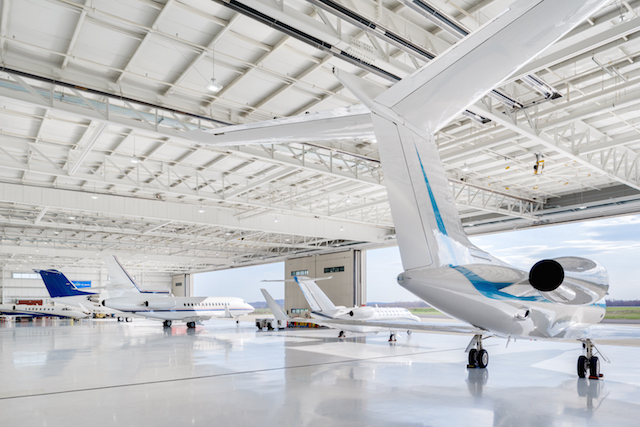 They communicate with an aircraft owner the important points while maintaining the ‘ease of ownership;’ a major benefit to working with an aircraft management company. Aircraft managers— who are excellent in their field— have a proven ability to connect and build trust between teams and clients. They not only communicate what they are going to do for a client but follow through with timely action. Additionally, the best aircraft managers can step into the aircraft owner’s shoes and understand the needs and wants of the owner; making decisions benefit the client time and time again. The best aircraft managers advocate and operate with an aircraft owner’s best interest at the forefront of their decision-making and problem-solving. An aircraft manager is a private jet owner’s eyes and ears when it comes to the aircraft asset. So, without question an aircraft manager must do what is right by his or her client. In turn, the aircraft owner must have complete trust that the aircraft manager will make the best decisions regarding the aircraft operation. Regardless of what aircraft management company an aircraft manager is employed with, the aircraft owner should believe— through action and solutions offered— that the aircraft manager is assisting the owner at every turn. Advocating for a client includes a foundation of knowledge, experience, and strong industry relationships, which allow for more efficient and practical solutions to be discovered. Discover the benefits of aircraft management. Request a management proposal.